State of Bihar and others etc Vs. Anil Kumar and others etc. Respondent: Anil Kumar and others etc. 2. The question that arises for consideration, emerges from the impugned order, dated 18/20.01.2011, passed by the High Court of Patna. It pertains to the validity of the investigative process, under the provisions of the Scheduled Castes and the Scheduled Tribes (Prevention of Atrocities) Act, 1989 (hereinafter referred to as the ‘SCST Act’). 3. In order to demonstrate the seriousness of the issue, learned counsel in Civil Appeal arising from SLP(C) No. 7317 of 2017 (filed by an accused before this Court) invited our attention to Section 3(2) of the ‘SCST Act’, which is extracted hereunder: “3. Punishments for offences of atrocities.- . . .
5. In order to demonstrate the effect of the directions contained in the impugned order (extracted above), it would be relevant to mention, that the Central Government, is vested with the rule making authority, under Section 23 of the `SCST Act’. The above provision is reproduced hereunder: “23. Power to make rules.” (1) The Central Government may, by notification in the Official Gazette, make rules for carrying out the purposes of this Act. 6. The Central Government indeed framed rules, namely, the Scheduled Castes and the Scheduled Tribes (Prevention of Atrocities) Rules, 1995 (hereinafter referred to as the ‘SCST Rules’) in exercise of its powers under Section 23. Rule 7 of the aforesaid rules, clearly vested the investigative authority, for offences under the ‘SCST Act’, with an officer “ not below the rank of a Deputy Superintendent of Police. Rule 7 of the `SCST Rules’ is reproduced below: “7. Investigating Officer. “ (1) An offence committed under the Act shall be investigated by a police officer not below the rank of a Deputy Superintendent of Police. The investigating officer shall be appointed by the State Government/ Director General of Police/Superintendent of Police after taking into account his past experience, sense of ability and justice to perceive the implications of the case and investigate it along with right lines within the shortest possible time. The investigating officer so appointed under sub-rule (1) shall complete the investigation on top priority, submit the report to the Superintendent of Police, who in turn shall immediately forward the report to the Director “ General of Police or Commissioner of Police of the State Government, and the officer-in-charge of the concerned police station shall file the charge- sheet in the Special Court or the Exclusive Special Court within a period of sixty days (the period is inclusive of investigation and filing of charge-sheet). (2A) The delay, if any, in investigation or filing of charge-sheet in accordance with sub-rule (2) shall be explained in writing by the investigating officer. (b) for any case or class or group of cases under this Act, in any district or part thereof, confer, by notification in the Official Gazette, on any officer of the State Government, the powers exercisable by a police officer under the Code in such district or part thereof or, as the case may be, for such case or class or group of cases, and in particular, the powers of arrest, investigation and prosecution of persons before any special court. (2) All officers of police and all other officers of Government shall assist the officer referred to in sub-section (1) in the execution of the provisions of this Act or any rule, scheme or order made thereunder. A perusal of the notification extracted above reveals, that Rule 7 of the ‘SCST Rules’ (framed by the Central Government), which required all investigations in matters arising under the `SCST Act’, to be carried out by an officer not below the rank of Deputy Superintendent of Police, was virtually done away with. The notification in contrast, and as a matter of obvious inconsistency, allowed the investigative process (“ under the `SCST Act’) to be carried by officers three ranks below the rank of Deputy Superintendent of Police, namely, through officers/officials holding the ranks of Inspector, Sub-Inspector and Assistant Sub-Inspector of Police. 9. In the appeal preferred by the appellant “ accused, the first part of the conclusions drawn by the High Court, in the impugned order, has been assailed. It was the contention of learned counsel, that the notification dated 03.06.2002, was ultra vires the provisions of the `SCST Act’, and was also contrary to Rule 7 framed thereunder “ and as such, was also violative of the `SCST Rules’. 10. It would be relevant to record, that the striking down of the retrospective effect, given to the notification dated 03.06.2002 “ “…with effect from 31st March 1995…”, by the High Court, was not expressly assailed, by either of the sides. 11. The second part of the conclusions drawn by the High Court in the impugned order, has been assailed by the State of Bihar, in the connected appeals. 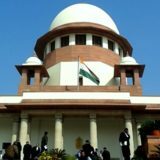 It would be pertinent to mention, that the High Court in its conclusions, also recorded, that such of the investigations as were conducted by a police officer below the rank of Deputy Superintendent of Police, after the publication of the `SCST Rules’ (on 31.03.1995), and prior to the date of publication of the notification dated 03.06.2002 (i.e. prior to 09.08.2008), would “not” be treated as valid, and consequential prosecutions conducted in furtherance of such investigative processes (conducted by a police officer, below the rank of (Deputy Superintendent of Police), would be a nullity. 12. The first question which arises for our consideration is, with reference to the validity of Rule 7 of the `SCST Rules’, which was issued by the Central Government, in exercise of the power vested with it, under Section 23 of the ‘SCST Act’. Having given our thoughtful consideration to the rule making authority, and the seriousness attached to the offences contemplated under the provisions of the `SCST Act’, and the policy depicted through the legislative intent expressed therein, as also, the serious and harsh consequences emerging from any violation of the provisions of the ‘SCST Act’, we are satisfied, that in the exercise of its rule making authority, the Central Government was fully competent and justified, in requiring that the investigative process be conducted by an officer not below the rank of a Deputy Superintendent of Police. The Central Government had the jurisdiction of framing rules, and the Central Government had exercised its jurisdiction within the framework of the authority vested in it. We therefore hereby affirm the validity of Rule 7 of the ‘SCST Rules’. 13. The next issue that arises for consideration is, whether the notification issued by the State of Bihar dated 03.06.2002, in exercise of the power vested in the State Government, under Section 9 of the ‘SCST Act’, can be considered to have been exercised in breach of, or in excess of the power delegated to the State Government. 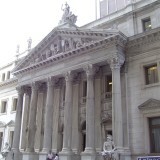 It was the contention of the learned counsel for the appellant “ accused, that Section 9 contemplates the possibility of extending the powers of arrest, investigation and prosecution (“ of persons, alleged to have violated the provisions of the `SCST Act’), in addition to those already provided for under the Code of Criminal Procedure. Furthermore, as such, it was submitted, that it was not open to the State Government, in exercise of powers vested with it (under Section 9 of the `SCST Act’), to vest such powers of arrest, investigation and prosecution, with police officer(s) below the rank of the police officer postulated and provided for under the `SCST Rules’. It was submitted, that under Rule 7 of the above rules, the powers of arrest, investigation and prosecution are mandated to be exercised by a police officer, not below the rank of Deputy Superintendent of Police. It was therefore submitted, that extension of the investigating power, to a police officer/official below the expressly postulated rank, was not permissible. In order to support his above assertion, learned counsel for the appellant “ accused, also drew our attention to sub-section (2), of Section 9, of the `SCST Act’, and on the basis thereof contended, that from a plain and simple interpretation of the language adopted by the legislature, in sub-section (2) of Section 9, it would emerge, that the additional conferment of authority (with reference to arrest, investigation and prosecution), could only be extended to an officer, other than a police officer. 14. In order to appreciate the contention of learned counsel for the appellant “ accused, it is imperative for us to keep in mind the scheme, which was provided for by the legislature, in dealing with offences under the ‘SCST Act’. In our considered view, at the time of introduction and commencement of the provisions of the `SCST Act’, Section 9 of the `SCST Act’ extended the power of arrest, investigation and prosecution, to all officers as would be entitled to carry out the aforesaid responsibilities, under the Code of Criminal Procedure. And as such, it needs to be appreciated, that when the provisions of the `SCST Act’, came to be worked out, at the outset, police personnel only, including those holding the rank(s) of Inspector, Sub-Inspector and Assistant Sub- Inspector, exercised the above powers. All these police personnel, were authorised by Section 9 of the ‘SCST Act’, to be a part of the investigative process. In addition, under Section 9 aforementioned, a State Government was authorized, to delegate the power of investigation (in addition to, the power of arrest, and of prosecution), in respect of offences under the `SCST Act’, “… to any officer of the State Government …”, as the State Government may consider “necessary”, “…for the prevention of and for coping with any offence…” under the `SCST Act’. The power vested with the State Government, under Section 9 of the ‘SCST Act’, was therefore clearly expansive, and was obviously intended to enlarge the zone of arrest, investigation and prosecution, to officers/officials in addition to those authorised to do so under the Code of Criminal Procedure. The power conferred on a State Government under Section 9(1)(b), allowed the State Government to confer the power ” on any officer of the State Government “. The power of delegation was not limited to police personnel only, but extended to any officer of the State Government, who may or may not belong to the Police Department. It is therefore not possible for us to accept the contention advanced by the learned counsel for the appellant-accused, founded on sub-section (2) of Section 9 of the ‘SCST Act’. 15. It is also necessary to take note of the legislative intent expressed in Section 9, in that, it extended to the State Government the above discretionary authority. The State Government was afforded the discretion to vest with ” any officer of the State Government “ the power of arrest, investigation and prosecution, by augmenting the zone provided for through a non obstante clause. Obviously therefore, the right to delegate such powers of arrest, investigation and prosecution, vested with the State Government, was irrespective of the provisions of the Code of Criminal Procedure. Not only that, the above power could be exercised, irrespective of the provisions of the parent ‘SCST Act’ itself. It is therefore apparent, that Section 9, was aimed at, and provided for, an effective mechanism for arrest, investigation and prosecution, in addition to the provisions in place. In case the State Government found the same as necessary and expedient, for an effective implementation of the provisions of the ‘SCST Act’, it had the right and the responsibility, to vest the power of arrest, investigation and prosecution, in additional personnel. Stated differently, in case the State Government was satisfied, that the officers vested with such powers, in consonance with the provisions of the ‘SCST Act’, were insufficient to carry out the purposes of the `SCST Act’, the State Government could extend the power, to those not so expressly provided for. Accordingly, in case of inadequacy, to deal with the provisions of the ‘SCST Act’, the State Government was at liberty to further delegate the power of arrest, investigation and prosecution, to ” any officer of the State Government “, for the fulfillment of the purposes of the `SCST Act’. 16. We will now, attempt to decipher and understand, the intent of the Central Government, while framing Rule 7 of the ‘SCST Rules’. Needless to mention, that on account of the harsh consequences of the offences contemplated under the provisions of the `SCST Act’, under the `SCST Rules’, the Central Government considered it expedient to vest the investigative power, for offences under the ‘SCST Act’ to officers, not below the rank of a Deputy Superintendent of Police. This determination at the hands of the Central Government, had an all India effect, and was not State specific. Therefore, when the provisions of the `SCST Rules’ were drawn, it is necessary to visualise, that the same were framed by the Central Government, for their implementation at the pan-India level. The Central Government, keeping in mind the harsh effect of any violation, of the provisions of the `SCST Act’, considered it expedient to require investigation to be carried out, by an officer not below the rank of Deputy Superintendent of Police. This exercise of authority, by the Central Government, cannot be assailed on the grounds of competence or legitimacy (as already concluded above). We, therefore, find no infirmity in the determination of the Central Government in vesting the investigative power, with reference to offences committed under the ‘SCST Act’, with an officer not below the rank of Deputy Superintendent of Police. It is therefore, that we express, and reiterate, our affirmation to the validity of Rule 7 of the ‘SCST Rules’. 17. The question however is, whether the State Government, could in its discretion, in furtherance of the power vested with it under Section 9 of the ‘SCST Act’, relax the provision made by Rule 7 of the ‘SCST Rules’. 18. It is imperative to emphasise, that as against the national character of the rule making power vested with the Central Government under Section 23 of the `SCST Act’, the delegated power contemplated under Section 9 of the `SCST Act’, is State specific. The power exercised by a State, keeps in mind the circumstances prevailing in the concerned State. The legitimacy and validity of the exercise of the instant delegated power (vested in a State Government), has therefore to be determined, with reference to the peculiar facts and circumstances prevailing in an individual State. In exercise of the power vested under Section 9 of the ‘SCST Act’, each individual State Government, was vested with the authority, to extend to officers other than the officers contemplated under the provisions of the `SCST Act’, powers of arrest, investigation and prosecution. A reasonable and legitimate understanding of the scope of the power of arrest, investigation and prosecution, will necessarily require a conjoint reading of the provisions of the ‘SCST Act’ and the `SCST Rules’. After the promulgation of the `SCST Rules’, undoubtedly, the Central Government provided for investigation, at the hands of an officer not below the rank of a Deputy Superintendent of Police. But, the rightful approach to the issue in hand would emerge from the query, whether a provision made under a rule, can negate a right extended through the parent legislation? The answer obviously has to be in the negative. This simple reasoning, unfolds the answer of the issue being debated. In our considered view, Section 9(1)(b) confers on the State Government, the power to further delegate the power of arrest, investigation and prosecution. This power vested with the State Government, through a non obstante clause, cannot be neutralized by any rule framed under Section 23 of the ‘SCST Act’. The non obstante clause, would allow a State Government to exercise the power conferred on it “ irrespective of the provisions of the ‘SCST Act’, and also irrespective of the provisions of the ‘SCST Rules’, to delegate to ” any officer of the State Government “, the power of arrest, investigation and prosecution. We are of the view, that the non obstante clause, extended to the State Government, power to overlook and provide differently, from the position contemplated under the ‘SCST Act’, as well as the ‘SCST Rules’. The issue whether the State Government was competent to relax the above rule, requiring that investigation be not carried out, by an officer below the rank of Deputy Superintendent of Police, and thereby, extend the power of investigation to officers below the rank of Deputy Superintendent of Police, has therefore to be answered in the affirmative. 19. Having concluded as above, we are satisfied to uphold, not only Rule 7 of the ‘SCST Rules’, but also the notification dated 03.06.2002, issued by the State Government, in exercise of the power vested in it under Section 9(1)(b) of the ‘SCST Act’. Accordingly, we find no merit in the challenge raised on behalf of the appellant-accused, to the notification dated 03.06.2002. 20. We also find merit in the conclusion drawn by the High Court to the effect that the operative date of implementation of the notification dated 03.06.2002, would be the date of the publication of the above notification (i.e., 09.08.2008). Firstly, because there is no challenge to the above conclusion recorded by the High Court. And secondly, the instant exercise of power, cannot have retrospective effect, because Section 23 of the `SCST Act’, does not vest in the Central Government with the authority to exercise its rule framing authority, with retrospective effect. 21. With the conclusions recorded in the foregoing paragraphs, we have dealt with the submissions advanced at the hands of the learned counsel for the appellant “ accused. 22. We shall now deal with the challenge raised by the learned senior counsel, representing the State of Bihar. As already noticed hereinabove, the second conclusion drawn by the High Court was, that of investigation carried out, by police officers below the rank of a Deputy Superintendent of Police, after 31.03.1995 and prior to 09.08.2008, would stand vitiated. In order to assail the aforesaid conclusion, learned counsel first drew our attention to Section 465 of the Code of Criminal Procedure. The same is extracted hereunder: “465. Finding or sentence when reversible by reason of error, omission or irregularity. “ (1) Subject to the provisions hereinbefore contained, no finding, sentence or order passed by a Court of competent jurisdiction shall be reversed or altered by a Court of appeal, confirmation or revision on account of any error, omission or irregularity in the complaint, summons, warrant, proclamation, order, judgment or other proceedings before or during trial or in any inquiry or other proceedings under this Code, or any error, or irregularity in any sanction for the prosecution, unless in the opinion of that Court, a failure of justice has in fact been occasioned thereby. Based on the aforesaid provision, it was the submitted, that an omission or irregularity with reference to investigation, would not have the effect of negating the prosecution itself, unless it is further shown, that the same had occasioned a failure of justice. In order to support his above contention, learned counsel placed reliance on H.N. Rishbud and Inder Singh vs. The State of Delhi, (1955) 1 SCR 1150. The questions that arose for consideration in the above judgment, were expressed in the following manner: “On the arguments urged before us two points arise for consideration. (1) Is the provision of the Prevention of Corruption Act, 1947, enacting that the investigation into the offences specified therein shall not be conducted by any police officer of a rank lower than a Deputy Superintendent of Police without the specific order of a Magistrate, directory or mandatory. "Subject to the provisions herein before contained, no finding, sentence or order passed by a Court of competent jurisdiction shall be reversed or altered on appeal or revision on account of any error, omission or irregularity in the complaint, summons, warrant, charge, proclamation, order, judgment or other proceedings before or during trial or in any enquiry or other proceedings under this Code, unless such error, omission or irregularity, has in fact occasioned a failure of justice". 23. Having given a thoughtful consideration, to the contention advanced on behalf of the appellant “ State of Bihar, we are of the view, that the legal position as has been declared by this Court, is in complete consonance and conformity with the postulation contained in Section 465 of the Code of Criminal Procedure. This being the position, we have no hesitation in holding, that the second determination rendered by the High Court, to the extent that the investigation carried out by a police officer below the rank of a Deputy Superintendent of Police, after 31.03.1995 and prior to the issuance of the notification dated 03.06.2002 (on 09.08.2008), would stand vitiated, has necessarily to be set aside. In our view, the above finding could have been returned only if, the concerned Court expressed its satisfaction, that the investigation carried out, by a subordinate police officer/official, who had no authority to investigate the matter, had caused prejudice to the accused, leading to miscarriage of justice. Since no such finding has been recorded, and since it has also not been established before this Court, that the accused had suffered such prejudice, it is not possible for us, to sustain the above conclusion, of the High Court. The same is accordingly hereby set aside. 24. Having recorded our conclusions with reference to the second proposition, recorded in the preceding paragraph, it is necessary for us to take the issue canvassed on behalf of the State Government. In that, insofar as the facts and circumstances of the present cases are concerned, such a demonstration at the hands of the accused, will be inconsequential, inasmuch as, our having upheld the notification issued by the State Government, under Section 9 of the ‘SCST Act’, a valid and legitimate investigation can “now” be carried out, even by a police officer below the rank of a Deputy Superintendent of Police. And as such, even in cases where a fresh investigation is ordered, at the present juncture, the officer/official (Inspector, Sub-Inspector, Assistant Sub-Inspector of Police) who had carried out the original investigation, would have to be considered to be possessed of the investigative authority. As now, the investigating authorities, authorized under the ‘SCST Act’, would include those as have been notified by the State Government in exercise of the power vested in it under Section 9 of the ‘SCST Act’. As such, no purpose would be served for any party to agitate the instant issue, seeking re- investigation, in the facts and circumstances of the matters in hand. 25. Accordingly, the appeal filed by the appellant-accused is hereby dismissed, and the appeals filed by the State of Bihar are hereby allowed, to the extent indicated hereinabove. Date : 23/03/2017 These petitions were called on for hearing today. For Petitioner(s) Mr. Santosh Mishra,Adv. In SLP 7317/2017 Mr. R.R. Dubey, Adv. The appeal filed by the appellant-accused is hereby dismissed, and the appeals filed by the State of Bihar are hereby allowed, in terms of the reportable signed judgment.